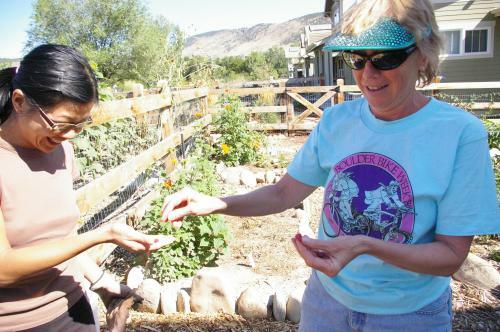 Lyons Valley Village is a small cohousing community based in the beautiful town of Lyons (just north of Boulder). We are located on a two-acre parcel of land, bordered on two sides by parkland, one with the Saint Vrain River running through it. Our community consists of 18 units, and a 2,200 square foot Common House, which has a children's playroom, gourmet kitchen, dining hall, sitting room and guest room. We have around 30 residents (ages one and up), 8 dogs, and 5 cats.